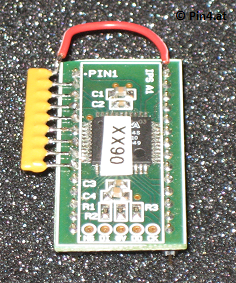 The Namco 06xx custom chip is an interface chip between a processor (most likely a Z80) and other Namco custom chips (most likely any of the 5xxx chips). On the right side you can see the functional overview of the IC (or better how I implemented it on the CPLD). It just illustrates the different functions of the source code, it is not a 100% accurate circuit picture for simplicity. The left hand side in the figure connects to the micro, the right hand side is the local "custom bus". First I used a self-made, wire-wrapped Xilinx CPLD board for some tests, which was functional but not at all "pretty". Later I got some nice looking TTL replacement boards using an Altera CPLD from fpgaarcade.com, which works really well. To my knowledge there are no 5V-capable CPLDs available which would support a pull-up configuration on bi-directional outputs. This would be neccessary to allow a valid voltage level on the internal custom bus to the 5xxx slave devices in case the 06xx output register is tristated and the slave device only drives the (lower) nibble of the bus. In such situations it is mandatory that the rest of the bus stays on high level. Therefore it is required to solder a 8x 47k resistor array to the bus (as seen in the picture). The functionality is coded using VHDL on Quartus Web Edition. For further details on the implementation, see the readme file in the file area (to request access to the file area, take a look at the end of this page). It was tested on several Namco boards instead of the original 06xx device, I didn't do any long-run tests, but the boards start up correctly and I was able to play some rounds. See below pictures of the replacement device "in action" and the actual status. If you want to purchase such a TTL board, please contact Mike at fpgaarcade.com (see my links section for further details). 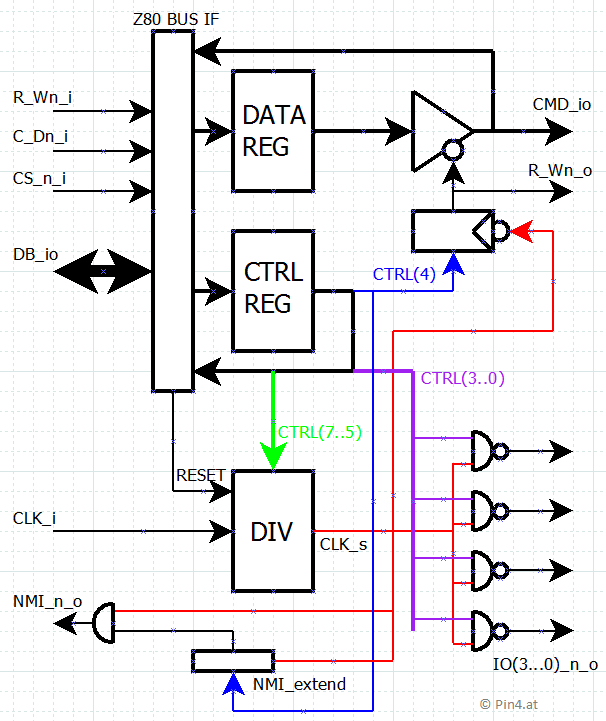 I can provide a binary distribution to program Mikes TTL replacement boards or a complete Altera project including the VHDL code if you want to set it up on a different CPLD (or use it in a complete FPGA game).